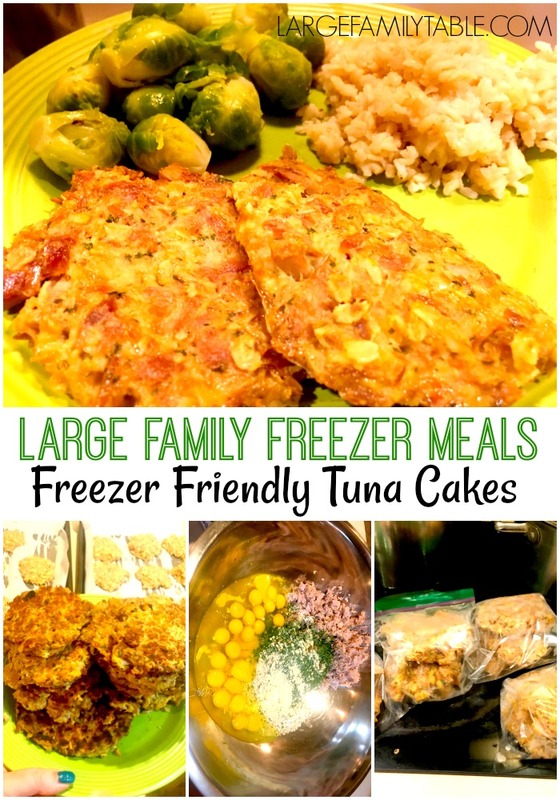 Welcome back to another large family meal plan from my family to yours! This week you’ll find healthy Turkey & Cheese Roll-Ups for lunch, Slow Cooker Steak Roast and BBQ Meatloaf among the large family meals, plus tons of fruits and veggies thrown all around. 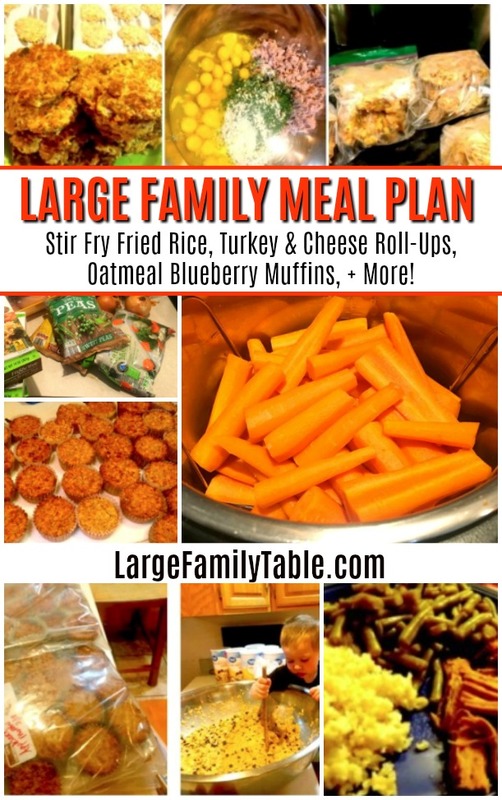 As always you can find the super popular 4-Week Large Family Meal Plan here. And you can click here to find my growing list of weekly large family meal plans! Make these work for your family. 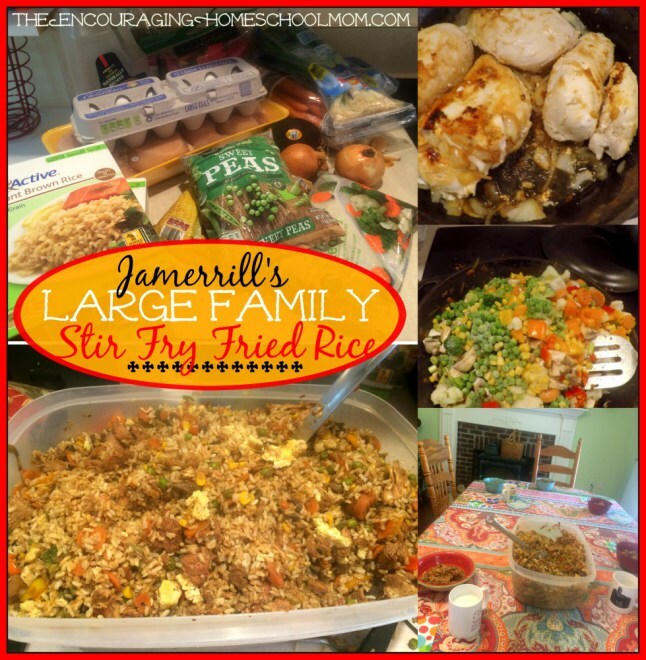 *For a “Big Weekend Meal,” as I call it I cook up a large batch of one of our family favorite recipes, like the Stir Fry Fried Rice listed above. Since many Saturdays, I have a dedicated work day for my business, or we have a weekend full of projects and family activities, I like to not have to think about cooking on the weekends (can I get an amen?!). For some weekends I like to set us up for success (and set momma up for easy 🙂 by cooking this big weekend meal on Friday afternoons. We’ll have it for dinner Friday, Saturday, and usually Sunday too. Since I always pick a family favorite many times the family will have it for lunch Saturday as well. As always additional leftovers and fresh fruits and veggies are always available. 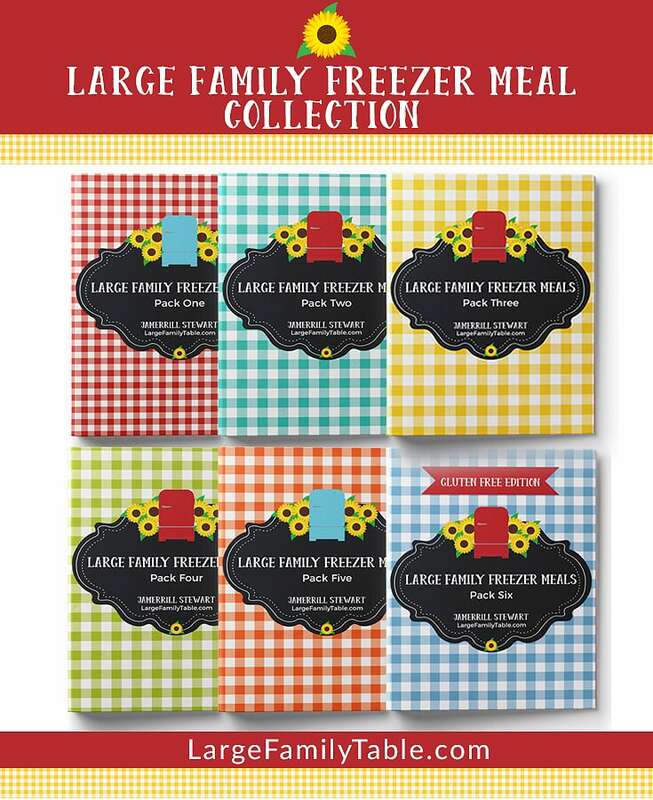 I don’t know about you, but I feel like as a large family mom I can never have enough large family recipes in my collection. 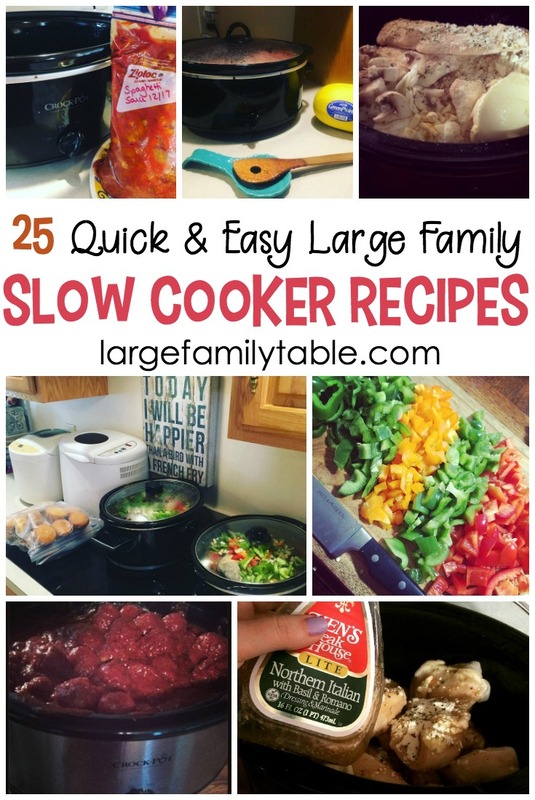 If you’re looking for more dinner ideas for your family be sure to check out these 25 quick and easy large family slow cooker recipes! My friend Vicki shared her Large Family Meal Planning System here that is simply brilliant as well. Be sure to let me know how dinner works out for your family this week! !